"The strength of metal gave us the freedom to push the boundaries and seek for the thinnest, most light construction to bring light into the design." Guided by all senses, their mission is to create seemingly simple designs that reflect the love that is put into them - and their details - for years to come. 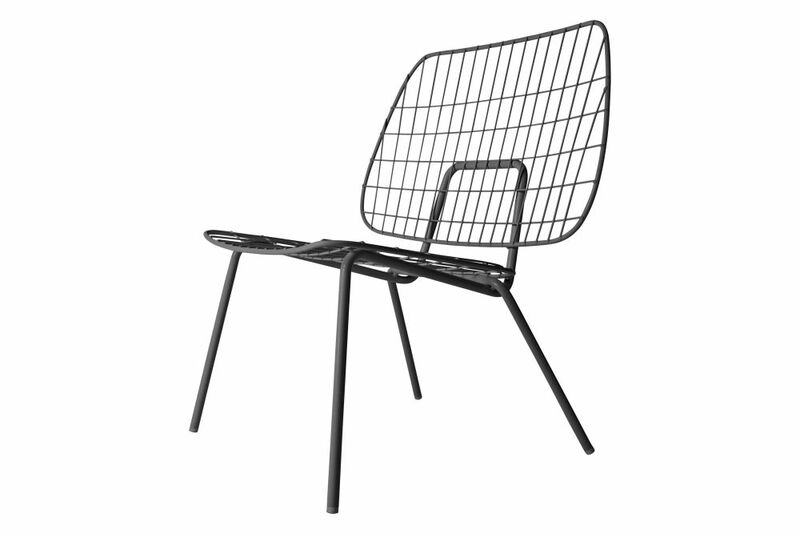 Their Wire design is available as a Dining chair and a low Lounge Chair. They both have the same light and airy appearance and the thin structure of the wire frame gives them a delicate feel, while also providing a fine contrast to any cushion you put on the dining chair - or the blankets, pillows and soft items you lay in the lounge version.